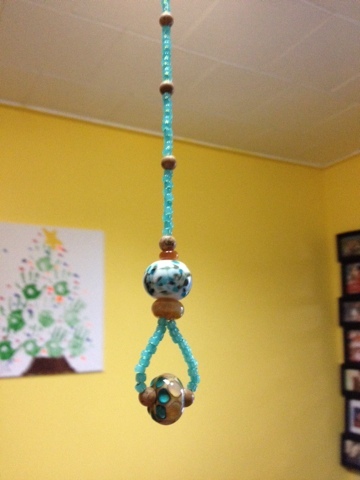 I used the glass beads shown in the bead shop post to make a light pull for my ceiling fan. I often leave the fans running but turn off the lights. It helps with the climate control in my house.